Hailing from Dargaville, New Zealand, Mark had already had a string of hits there before moving to Australia. Songs like Yesterday was Just The Beginning of my Life, It Doesn’t Matter Anymore and Sweet Wine established Mark as a favourite during the 70s. 1991 saw Mark Williams debut his song Show No Mercy at the NRL Finals in Sydney. The song went to the top of the charts that year and established him as a leading performer throughout Australasia. He took a break from touring both countries in early 2000 to be a vocal coach for Australian TV’s Popstars, the forerunner to Australian Idol, X Factor and The Voice, all of which have used his skills to get the best out of performers. 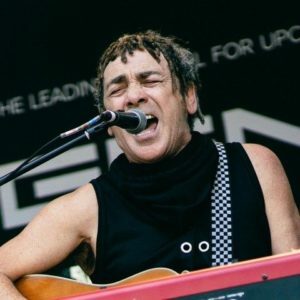 However, the pull of live performance and recording has never been far from his sights and in 2005 he joined the iconic band Dragon as lead singer. Included in their shows are classic songs; Are you Old Enough, April Sun in Cuba and Rain and, together with new material, the current Dragon line-up tours constantly throughout Australasia. Celebrating their 14th year together in 2019, Mark and the band have just completed the New Zealand leg of the Toto/Jefferson Starship tour. The Koi Boys are Danny Faifai, Kevin Keepa and Ngahere “Nuz” Ngatai: three passionate and highly experienced musicians hailing from New Zealand and based on the Gold Coast. They were the first trio to ever audition on The Voice Australia, and were a hit among fans, both locally and across the Tasman. Over the last decade, the trio has been crooning, dancing and entertaining as a collective at the same venue. Their “Sunday Session” show at Koi Dining and Lounge Bar is must-see for those visiting the Gold Coast, and has become so popular that it sells out weeks in advance. Comfortable performing Motown, funk, RnB, pop and more, the group’s musical diversity is impressive. Originally specialising in covers, the trio have since written and released their own songs as well. Their energy, character, enthusiasm and genre-spanning talent that has earned them their passionate fan base and notoriety as one of the most entertaining live vocal trios in the country. Jamey Ferguson is an award winning singer/songwriter, and a founding member of world renowned reggae band, Katchafire. A multi talented instrumentalist, he played keyboards, saxophone, guitar, and flute for the critically acclaimed band, before taking a step back in 2015. During his time with Katchafire, Jamey has performed at sold-out concerts throughout New Zealand, Australia, USA, Europe, South America and the Pacific Islands. 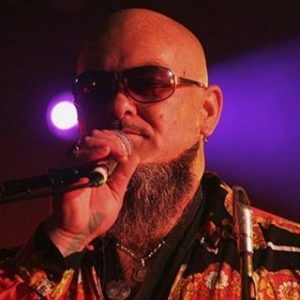 He also achieved five triple platinum album sales with the band: ‘Revival’, ‘Slow Burning’, ‘Say What You’re Thinking’, ‘On The Road Again’, and ‘Best Of Katchafire’. Throughout his career, Jamey has performed alongside international recording artists such as Julian Marley, Damian Marley, The Wailers, UB40, Steele Pulse, Donovan Frankenreiter, Shaggy, Sean Kingston, Lauryn Hill, Aswad, Maxi Priest, Ziggy Marley, Ice Cube, Rita Marley and many more. Rotorua born and bred and like many Rotorua Musicians, Jack started his musical journey at Rotorua Intermediate School under the watchful eye of Derek Morrison and Nari Ngatai. Jack has performed with some of the music industry’s best including his music heroes, Tom Jones and Engelbert Humperdink. Jack’s ability to create the musical style and dynamics of some of the big ballad singers is second to none after winning National and International competitions performing Tom Jones music. Back home now, Jack is teaching music and looking forward to investing back into the town that started his music career. Suzanne was discovered along with her sister Judy by New Zealand guitarist Peter Posa, and the two sisters became regular performers on the New Zealand television show ‘C’Mon’ in the late 60’s. In 1971 Suzanne was also a regular soloist on the television show ‘Happen In’. 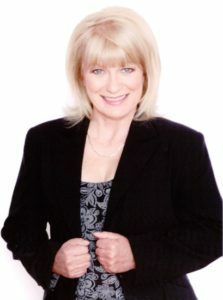 Having established a name in New Zealand as the blonde member of the popular 60’s duo “The Chicks” and then as a solo performer; Suzanne studied vocal technique for 3 years before travelling to England in 1973. Here she quickly became one of London’s first call session singers, singing on albums by Chris De Burgh, Art Garfunkel, ShaWaddyWaddy, Cleo Lane, The Walker Brothers and Cat Stevens to name just a few. She joined Cat Stevens’ band in 1974 and performed with him on two world tours and on all his recordings. She had the pleasure of singing with him once again in Christchurch recently as his special guest. Out of the steam and bubbling mud, Krissie Knap was born and bred right here in Rotorua. She has entertained with many great performers in her musical career. Singing songs from the 60’s to some of today, Krissie has performed to audiences all over New Zealand and Australia. A New Zealand born Samoan singing group, the Yandall Sisters first started singing gospel choruses at home when they were very young, taught to them by their dad who heard these songs sung at various Christian rallies he loved to attend. In their early teens, a friend of their dad introduced them to the Friendly Road Choir (formerly Sankey Singers) where they sang regularly on Radio 1ZB after school. 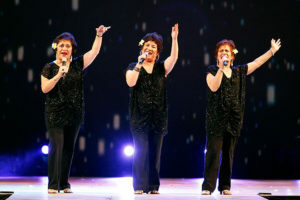 With the various singing experiences they were enjoying, the sisters became more confident on stage and began entering talent quests outside the church arena. They then played their first ‘professional gig’ in 1971. Working during the week, they began gigging in the weekends for another 2 years, before going fully professional in 1973. The trio of Mary, Adele & Pauline toured extensively throughout NZ, Australia and the Pacific Islands. They soon became regulars on the cabaret scene in the 70’s and 80’s and on television screens, singing their own hits or performing as backing vocalists for many artists, including Prince Tui Teka, Sir Howard Morrison, John Rowles, Billy T. James, Mavis Rivers and Bunny Walters. 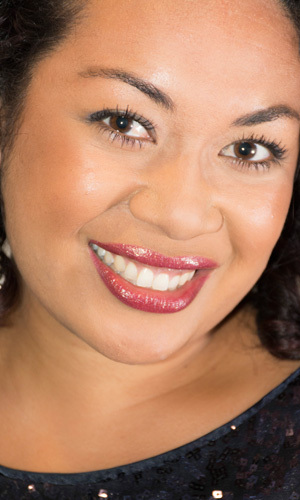 New Zealand born Samoan Elisha Hulton currently resides in Rotorua and enjoys a busy career working as a singer of classical to modern music, entertainer, music tutor and vocal director. Elisha performs throughout New Zealand and abroad. 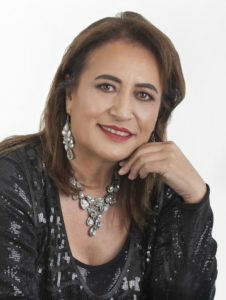 Some of her experiences include working with NBR New Zealand Opera, Opera Factory, Auckland Opera Studio, the Auckland Philharmonic Orchestra, Auckland Arts Festival, Wellington Arts Festival, the Bay of Plenty Symphony Orchestra and more. Elisha is a recipient of numerous awards and achievements such as the Dame Malvina Major Scholarship and the Creative New Zealand Iosefa Enari Memorial Scholarship. Competition successes include being a Lexus Song Quest Finalist, winner of the Maori Song Aria Competition and 3rd place in the New Zealand Aria competition. Howie Morrison Jnr has been performing professionally since 1985. Initially performing with his dad as rhythm guitarist and backing vocalist, Howie launched his solo career in 1990. More recently, Howie has performed with his own trio alongside Russell Harrison & Chris Powley. During his career he has worked with many greats in the entertainment industry, including the likes of John Rowles, Tui Teka, Billy T James, Frankie Stevens, Dalvanius, Eddie Lowe, Toni Williams, Dame Malvina Major, Annie Crummer, Tina Cross and original members of his dad’s quartet. 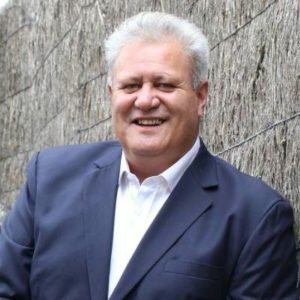 At Lakeside 2019, Howie will also be a co-MC alongside Tom Poata. Cherie Mathieson is a sought after vocalist, songwriter, vocal coach & artist development mentor. You’ll find her performing live as guest vocalist for Sola Rosa, the Golden Kiwis or with her corporate entertainment duo Platinum. Cherie has collaborated with many celebrated producers and artists over the course of her 25 years as a professional singer/songwriter. As a backing vocalist she has performed live and/or in the studio with Bonnie Tyler, Leo Sayer, John Paul Young, Jamie Callum, Sarah Blasko, Hollie Smith, Tama Waipara, Annie Crummer, Nathan Haines, Flight of the Conchords & many more local & international artists. Off stage, she is in demand as a session singer & songwriter for commercial projects. Through her artist development company, Big Notes Get Votes, she coaches emerging artists in developing their voice, signature sound & music business savvy. Born and raised in Rotorua, Dan Nathan uses his musical influences like Stevie Wonder, Brian McKnight, Boyz II Men and Joe Thomas to inspire him as a singer, songwriter and performer. Best known for his smooth R&B vocal ability, Dan has gigged with many of NZ’s most iconic artists such Ardijah, Cydel and the Groovehouse, Nesian Mystik & Adeaze. Dan is also a multi-instrumentalist, with a strong preference for bass guitar. He has been performing professionally across New Zealand since 1993. In 2005, Dan wrote and produced solo projects that ultimately culminated in releasing an indie single titled ‘Back In The Days’. The hit single received acclaimed reviews and reached number two on the NZ On Air R&B charts. Dan took a hiatus from live performing but has made a recent return with a new band called ‘The Hype’. During his hiatus, Dan couldn’t stay too far away from the music scene, continuing to work as an audio engineer throughout New Zealand and Australia. 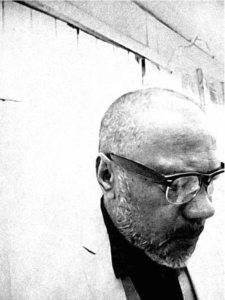 In this capacity he has worked with some of the New Zealand’s and the world’s top artists. Hailing from a background in Maori Cultural performance, Rewa was performing nightly in concert parties at many of Rotorua’s top hotels from a very young age. However, it was not until 1983 that Rewa branched out as a solo songstress and won her very first talent quest. This singing competition was judged by the late Prince Tui Teka, who then invited her to perform on both of his upcoming television specials. With this experience under her belt, that same year she was a contestant in the TVNZ talent production of ‘Star Quest’. 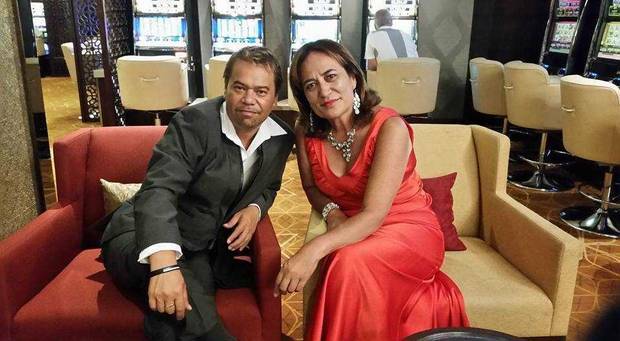 Over the next 10 years or so, Rewa honed her singing and entertaining skills on the cabaret circuit, both in Rotorua and Wellington, as well as joining the well established band ‘Cairo’, based at the Tudor Towers Nightclub in Rotorua. Performing with Sir Howard Morrison in 1999, she then became an essential member of his touring band over the next 10 years, performing at shows both throughout New Zealand and overseas. 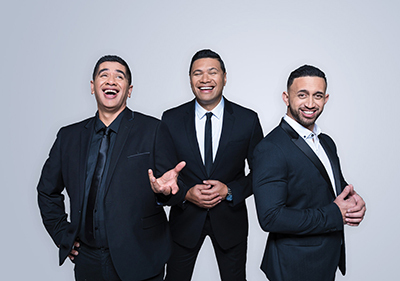 Currently, Rewa is a regular entertainer at SkyCity Hamilton Casino, accompanied by fellow entertainers Leon Wharekura and Jamey Ferguson. 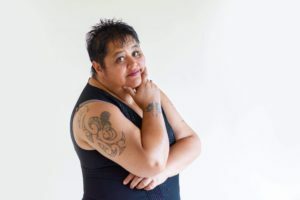 Locally adored singer and dancer Turanga Merito is a big name on the trans-tasman entertainment scene, but is Rotorua through and through. The former Lakes High School student has gone from one impressive role to another between New Zealand and Australia for the past decade. His credits include playing Simba in Disney’s The Lion King, opening for Beyonce as part of Stan Walker’s troupe and being a national and world judge for Hip Hop International Australia and World Supremacy Battlegrounds. His master dance skills are also seen each year as head choreographer for the ever popular Coca-Cola Christmas in the Park concerts. 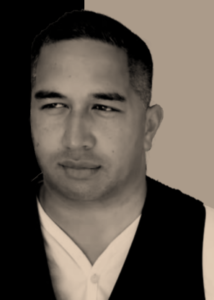 Hi-NES (pronounced ‘highness’) is R&B and Soul singer Hinerongonui Kingi. Born and bred in Rotorua and fast becoming as rising star, she is a perfect addition to Lakeside 2019. Hi-NES released her first single ‘Never Get Me Back’ ft. Krisy Erin for NZ Music Month in 2018. The song reached Number 1 on Google Play and iTunes, while also featuring as one of NZ On Air’s hot new singles. 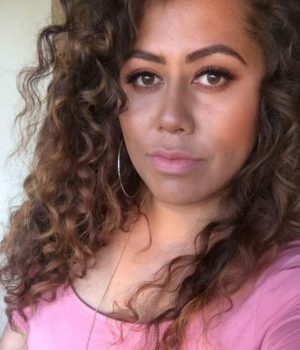 Currently working on her debut EP, Hi-NES is also an actor, Kapa Haka entertainer, dancer, model, former print journalist, teacher and body builder. An extremely talented young artist with a bright future ahead of her, Hi-NES is definitely one to look out for. Having being brought up around the arts all her life, it’s no surprise Atutahi has an acute talent on stage. Her koro, Eru Potaka-Dewes, had thespian talents with movie roles, poetry writings, TV advertisements and an eccentric personality to match. He would say “Stand tall, shoulders back, chin up. Now stride!” And this was only walking to the car! 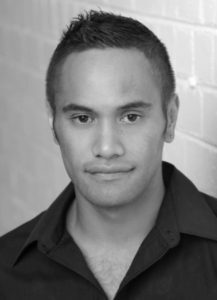 No stranger to performing, Atutahi has been involved in Kapa Haka since high school. And has traveled the world bringing light to te āo Māori with the Tuku Iho Exhibition, Te Puia and The Whakarewarewa Village. Although theatre was never a desire, last year Atutahi went out on a limb and joined the cast of the sold out RMT show Dreamgirls. Initially and contenly as a member of the ensemble. 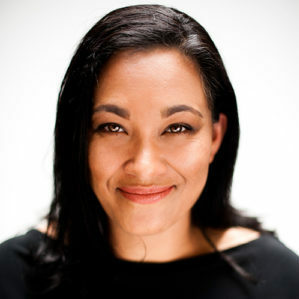 Three weeks from opening night Atutahi was given the role of ‘Effie White’. 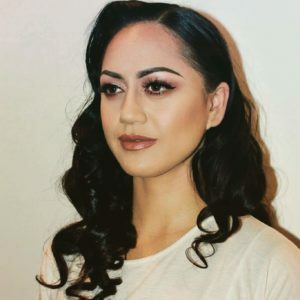 Since the show Atutahi has had numerous opportunities to showcase her voice, and she is excited and honoured to perform at Lakeside 2019. Dance Central is made up of 11 fabulous dancers ranging in age from 13-17 years old. The girls are experienced performers, enjoying success in numerous dance competitions in the North Island across all genres. The troupe are based at Dance Central in Taupo under the expert guidance of principal Carissa Yeoman. Carissa trained at the Brent Street School of Performing Arts, Sydney and went on to be a professional dancer, moving to Taupo to become a dance teacher and award winning choreographer. Our hardworking, dedicated group of girls dance after school in a variety of classes including APDA Jazz, RAD Ballet, APDA Contemporary and Hip Hop. They also form an integral component of the Competition Ballet and Jazz troupes. The Competition Jazz group will be competing at PACANZ nationals again in October for their 3rd year. The group have thoroughly enjoyed dancing at the Auckland Coca-Cola Christmas in the park in both 2017 and 2018, and 3 of their 2018 performances were also televised. The Lakes Performing Arts Company Senior Performance Crew have been training together since 2017 – and boast performance credits of Auckland’s Coca-Cola Christmas in the Park, Lakeside 2018, Tall Blacks Halftime entertainment, All Blacks Halftime entertainment, and Kawea by Maimoa Music (video) just to name a few. They are beyond thrilled to be a part of this year’s Lakeside concert. Mickey Ututaonga, Richard Anaru, Andy Cochrane, Ernie Semu, Karika Turua, Neville Grenfell, Steve Sheriff, Cherie Mathieson, Gail Tipene, Sharon Emirali, MD – Dixon Nacey.